Welcome to Boca Raton Premier Properties! Welcome to Boca Raton Premier Properties, one of the most powerful online resources available to help you find new a Boca Raton home! From the first few moments of the day, when the sun begins to peak out above the horizon, it's easy to see that there is something truly extraordinary about Boca Raton real estate and its surrounding communities. Read more about homes for sale in Boca Raton, find out why our clients love working with us, or learn more about some of our favorite communities below! 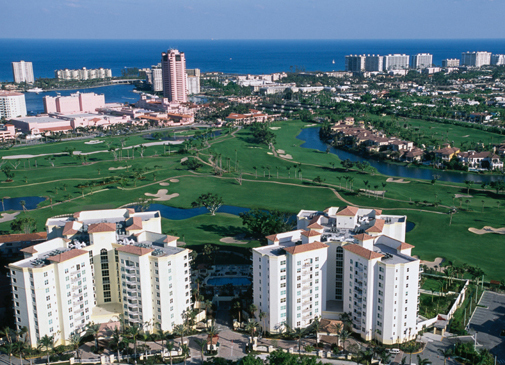 Boca Raton is a big city with the heart of a small town. There are countless coastal communities that are the very definition of Southern hospitality. Boca Raton is a city that welcomes residents and visitors alike to discover all it has to offer, from water sports and luxury shopping to outdoor recreation and the peace that can only come from owning an incredible home of your own. Each Boca Raton community has its own unique character and charm. The diversity of Boca Raton real estate allows you to choose a home that's right for you - regardless of whether you're a retiree seeking a private, waterfront haven or a family looking for a wonderful place to put down roots. Fortunately, finding a home that meets your one-of-a-kind needs is easy when you have Boca Raton real estate to consider, including the outlying areas of Highland Beach, Delray Beach, Gulf Stream, and Deerfield Beach. "We have just sold our property at Townsend Place, Boca Raton. Our realtor, Jean-Luc Andriot at Boca Premier Property Group, provided a first class service, guiding us through the process from start to finish. He, and his team, planned and executed the process impeccably, constantly updating us on progress, and delivering the full price that we agreed at the outset. Based on our experience, we would have no hesitation recommending Jean-Luc Andriot to anyone requiring realtor services". Of all the towns located here, Delray Beach and Highland Beach homes are among the most popular for this part of sunny Florida. Homes for sale in these areas are special places to call home and both offer their own unique set of amenities and charms! Highland Beach real estate is tucked along the stretch of land situated between the Intracoastal Waterway and Atlantic Ocean, northeast of Boca Raton. With its numerous waterfront properties, Highland Beach homes for sale offers a peaceful respite from the hassles of daily life. Residents of Delray Beach homes often gather in the city's downtown district to take advantage of a diverse array of antique shops, specialty boutiques, retail stores and restaurants. The prestigious coastal town of Gulf Stream provides its citizens with a close-knit, friendly atmosphere while offering access to exclusive amenities. Other popular options include Deerfield Beach and Hillsboro Beach, which blend history with modern features to present residents with a cozy, family-friendly lifestyle. If you are looking to buy or sell real estate in Boca Raton, Highland Beach, Delray Beach, Gulf Stream, or Deerfield Beach regions, Jean-Luc Andriot and his team of professionals are ready to assist you throughout the real estate process. As specialists in the Boca Raton real estate market, the Jean-Luc Group can guide you through the nuances of buying or selling waterfront or luxury properties. This website offers numerous resources for buyers and sellers who are serious about living the Boca Raton lifestyle. You can search properties using your own unique criteria, sign up for listing alerts by email, and request a market report of your home's value. Other website tools include a mortgage calculator, relocation package request, and new construction listings.